There are so many different types of noodles around the world. Different types of Pasta, originated in Italy. Lanzou ramen, which has a history of 4,000 years in China. Different types of rice noodles, such as Vietnamese pho and Laksa of Malaysia. 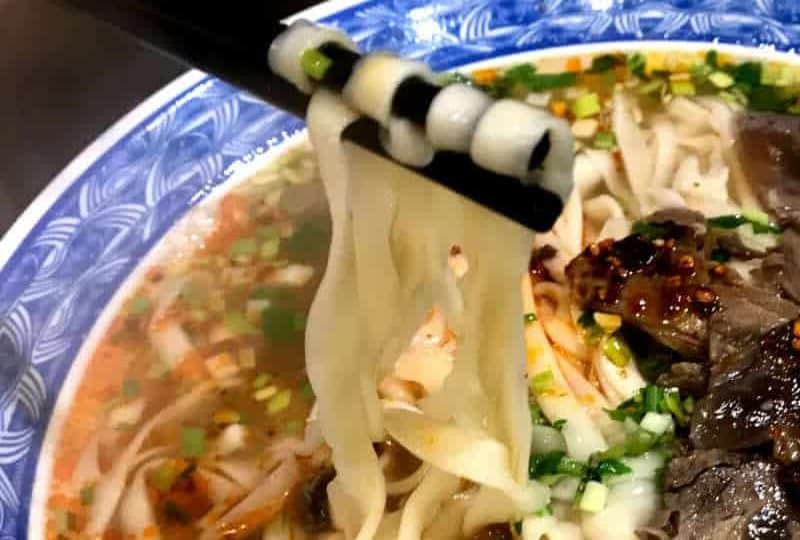 Hand-pulled noodles of China. 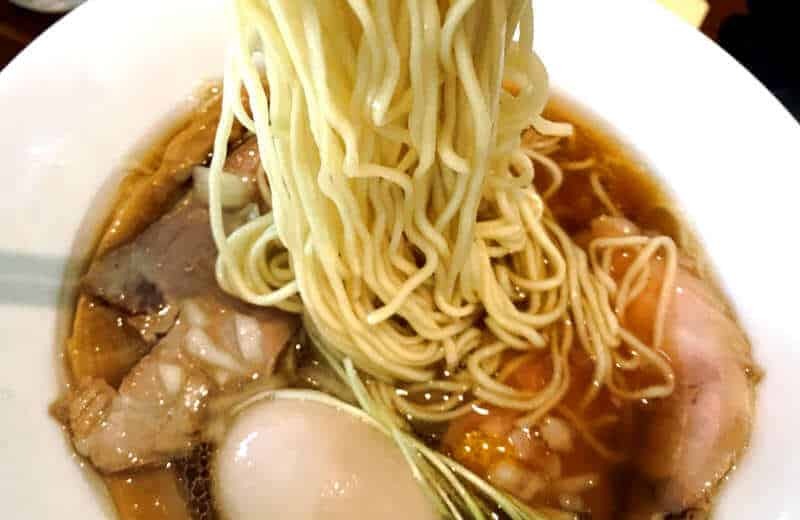 Wonton egg noodles, famous in Hong Kong. kalguksu of Korea. And, ramen, udon, and soba that grew in sophistication in Japan and overseas. All these noodles have gone through different food cultures and changed over time. How they are made, what ingredients are used, sizes, and textures, etc. Why do we eat noodles? It's because of course, we like them. There is more fundamental reason. Noodles are easier to eat than say, flour (of wheat, rice, etc.) Have you tried to eat wheat flour by itself? 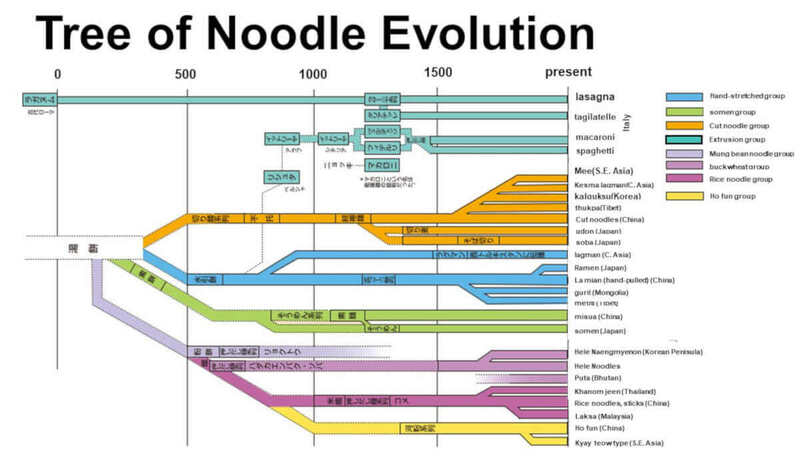 Noodles are part of food evolution. There are also many ways we make noodles today. Different types of noodles need different making methods to achieve their unique textures, tastes, etc. So, there are certain types of noodles that cannot be made by certain production methods. For Lanzou ramen to achieve the unique textures, some noodles need hand-pulling method, for example. Most types of rice noodles need He fen method where rice is liquidated to be steamed to be solidified. This calls for special equipment, which is very different from most of noodle making machine. In this article, we look at what types of noodles are possible to make on what methods, thus what types of noodle making machines. We used to, and some of us still make noodles by hand. Noodles made by this method need a lot of water/liquid. Because it is difficult to make flour with little water into noodles by hand, if you make noodles by hand, you need to add a lot of water. By adding more water, you are making noodles softer. So, you can work the dough with ease. 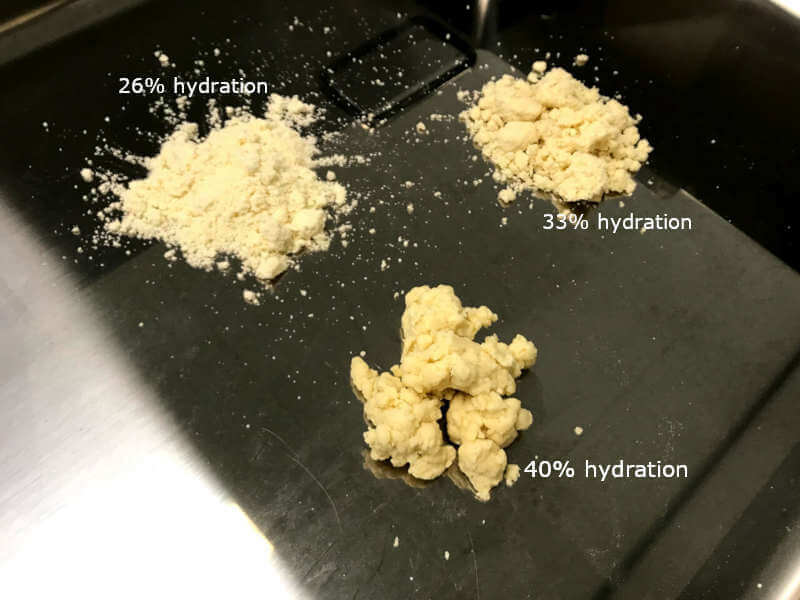 Dough with less hydration would need strong force to be processed into noodles. It would be difficult for human to process such dough by hand and impratical. Udon noodles and soba noodles belong to this high hydration noodles. 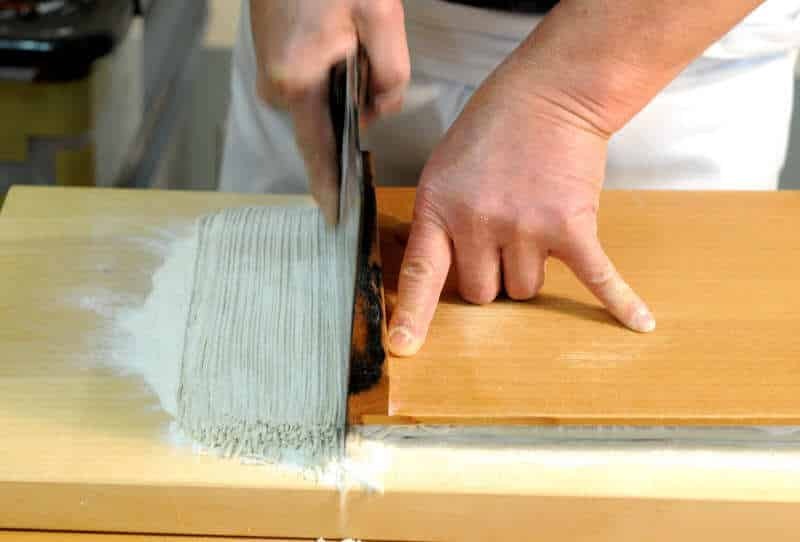 There are still many udon shops and soba shops that make their noodles by hand in Japan. Their noodles are good, but one would need to spend years on training to be able to make and serve good noodles. Also, it is very labor intensive. So, there are also many shops that rely on noodle making machine. This type of noodle making machine uses rollers (sheeter) with smaller diameter. Dough that goes through rollers with small diameter gets small amount of force/pressure. 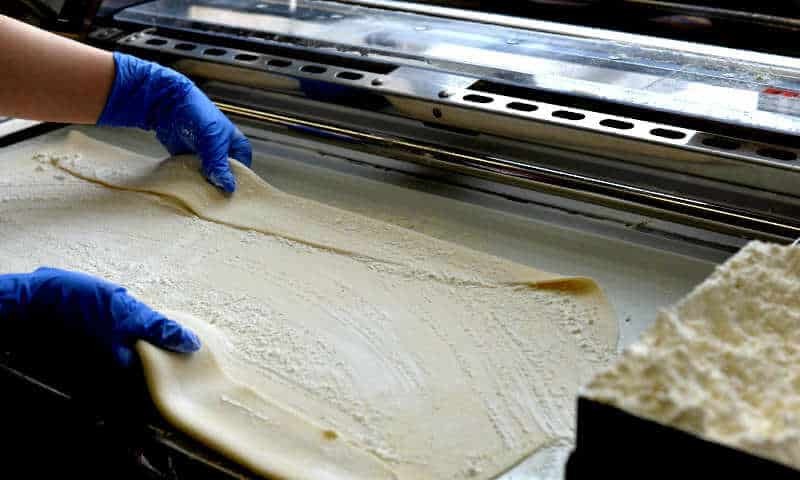 Dough usually gets rolled for several times to be thinned little by little. This keeps gluten structure developed inside dough from getting damaged. designed for soba and udon noodles uses this sheeting method. This type of machine can produce other types of noodles that are high in liquid content and made of ingredients with some gluten. (For example, rice does not contain gluten) For example, it can make certain types of ramen noodles with high hydration. Sano ramen, Yonezawa ramen, and tsukemen are the examples. Characteristics of noodles with high hydration are soft, translucent, flexible, and sleek. This type of noodles may bring out the best noodles textures if made in certain ways and with certain ingredients. There are many types of noodles this type of noodle machine can make. The famous, Hakata Tonkotsu Ramen noodles (thin and hard noodles served in rich white soup made of pork bones). A variety of other ramen noodles. Hong Kong Wonton soup noodles, made of flour, duck eggs, kansui and salt. Certain types of udon, soba, pasta, and Chinese noodles. Gyoza or dumpling skins. Wonton skins. Lasagna sheet... 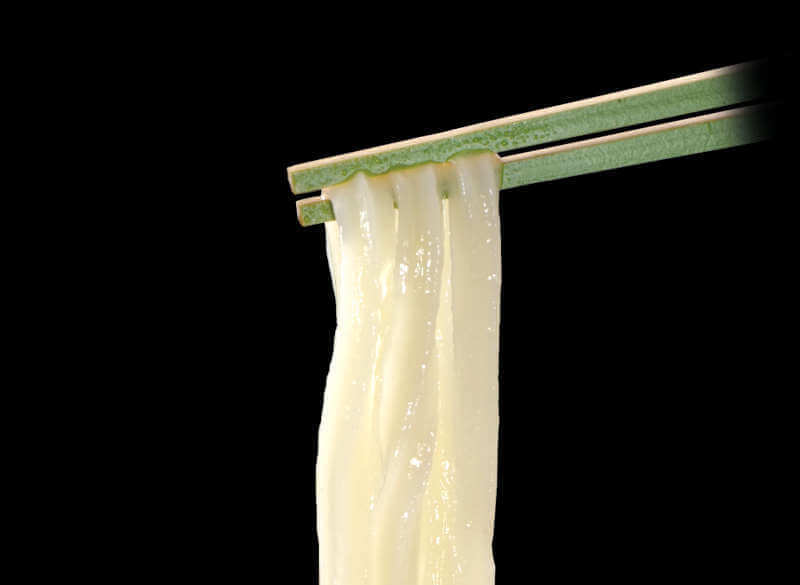 This type may be the most versatile noodle making machine, but there's a limitation. It is difficult to make noodles made of flour with no gluten like rice noodles. The ingredient this type of noodle making machine processes needs to have some binding property. 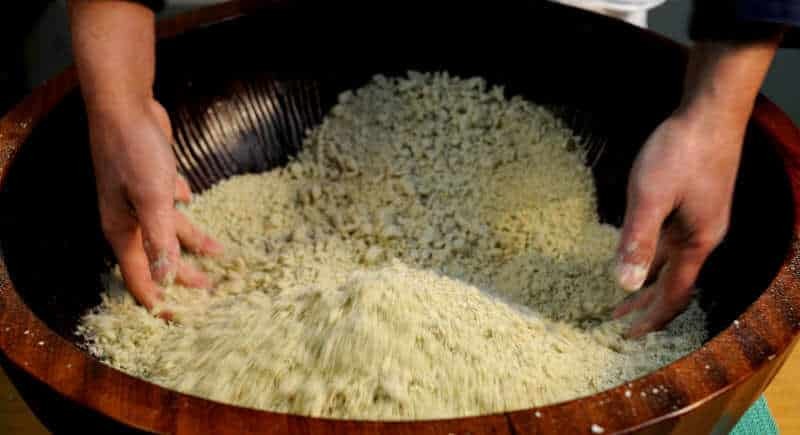 Most rice noodles are made using He Fen Method, which we touched on a little bit earlier. Because rice does not contain gluten, standard noodle making machine cannot process it. In this method, rice is milled with water into liquid, which is steamed and solidified into thin sheet. This sheet gets cut into strips of noodles. This method is used for production for rice vermicelli, Vietnamese pho, and other rice noodles. Extrusion methods are used for many types of pasta, certain types of noodles, and noodles made of non-gluten ingredients. By forcing dough out through small holes, this type of machine makes noodles. For this reason, the noodles tend to have granular texture. Some Chinese noodles call for knife-shaving method in cutting dough off into shreds of dough into cooking water. One needs some experiences to get the proper thickness in shaving off dough. The thickness and shape of noodle strips affects texture. Over 3 decades, we've done many tests and research into making of different types of noodles. And, certain types of noodles, textures, tastes, and flavors need certain ingredients, recipes, and methods. To make a certain type of noodles great, you need the right recipes, ingredients, and methods. If you have some noodles you want to produce from scratch in mind, feel free to contact us.